Apple Watch users can now download watchOS 4.2.2 update over the air right now. The update had been a beta for several weeks now. 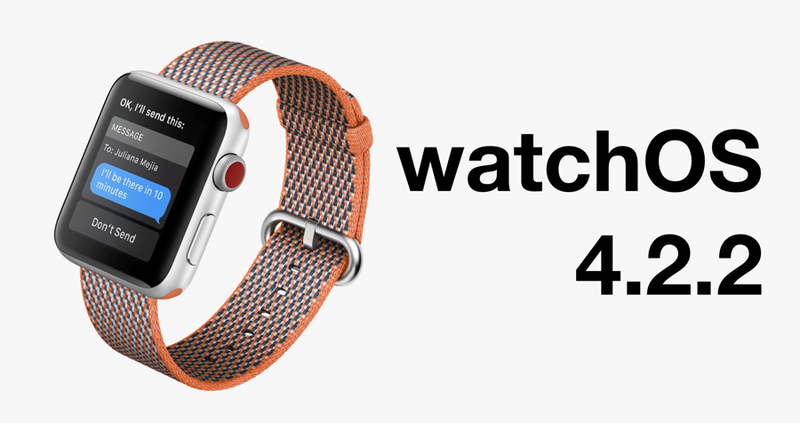 watchOS 4.2.2 is a Bug Fix Release. Important for All Apple Watch Users. watchOS 4.2.2 is a small point update that fixes no more than a few bugs and improves performance in certain corners. In fact, you might not be able to tell even if you have the update installed, it’s really that small. But still, it patches certain issues in some corners which might be a cause for concern among a certain set of users. In order to download and install watchOS 4.2.2 right now, first of all you have to make sure that you have 50% or more battery life remaining on your Apple Watch. Once that is dealt with, you have to make sure that your Apple Watch stays on its magnetic charger the entire time during the installation process. If it’s not, the installation won’t even begin. So, with that out of the way, head over to the Watch app on your iPhone, then navigate to General > Software Update. After a few seconds the update will show up and all you have to do is tap on Download and Install. Similar to how you download iOS updates over the air. It’s best that you go ahead with the entire process just before going to bed. Because that’s the best time for a few reasons. I’ll give you just one: everything will go through smoothly as you won’t be using your iPhone or Apple Watch. So let the whole thing happen in complete silence. Once done, start using your Apple Watch as you normally would. If you are wondering at this point whether or not you can downgrade watchOS to an older firmware version, then please understand that this is just not possible. Once you have updated your Apple Watch, you have to stick with the latest firmware. Same goes for beta builds too. You have to follow each and every single release until you reach the public channel once again.